Rehana had registered for a heart transplant. She had suffered for over 8 years – a long time to wait for a new heart, a second chance at life. Just before the surgery, something unexpected happened. She had her first cardiac arrest and she cannot have a transplant in her present condition. Over 8 years ago, Rehana was diagnosed with dilated cardiomyopathy. She was an outgoing, fun-loving person who enjoyed traveling, helping anyone in need, hosting guests and just being around family and friends. Ever since her heart condition manifested, Rehana felt restricted and hoped for a day when she could be healthy again. Even so, this mother nurtured her two sons and cared for her ailing husband until she lost him to cancer. Her sons, Syed Abrar and Syed Shuayb have been devotedly caring for their mother tending to her needs through the years. They were also happy to hear that she was getting a second chance at a healthy life. She is, after all, just 48, and had decades of dreams to fulfill. The transplant would have cured Rehana’s condition. Now the only option is to go for an LVAD (Left Ventricular Assist Device). This is an implantable heart pump that will keep the organ beating, a permanent therapy for her condition. Anyone in Syed’s condition would find it difficult to source this kind of money. He graduated just 4 years ago, and is supporting his younger brother’s education. Although he is reaching out to family and friends for help, there is only so much they can all pool in together. Rehana’s condition will continue to deteriorate without this device. With it, she can live a long and healthy life, one that she has been waiting for over a decade. This mother has sacrificed so much for her family. Her children are doing everything they can to save her so she can live for herself. Your contribution can help save her life. 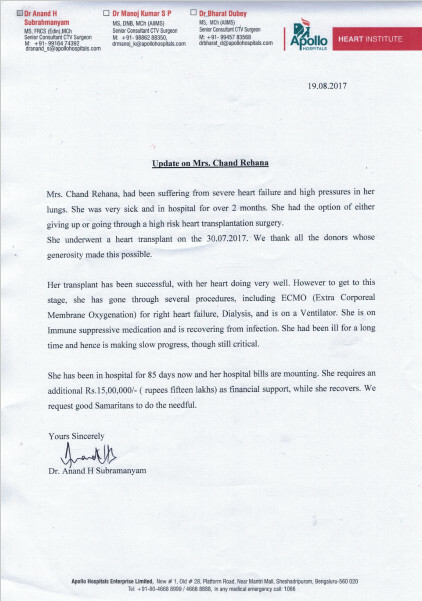 This is to update you that Mrs Chand rehana, who was suffering from severe heart failure and was dependent on life supports for nearly 2 months in ICU, underwent a high risk cardiac transplant surgery last month. The procedure was successful and her heart did very well, though she went through several additional procedures to support her. We regret to inform you that she succumbed to severe bone marrow suppression and renal 'shut down' on the 31 st of August, 2017 after a long drawn fight against odds. We thank all the donors for their gracious financial support and wishes during this difficult period.She is survived by 2 sons, who are engineering students. We were just informed by the hospital that Rehana passed away. We will get in touch with the family to post a detailed update soon. 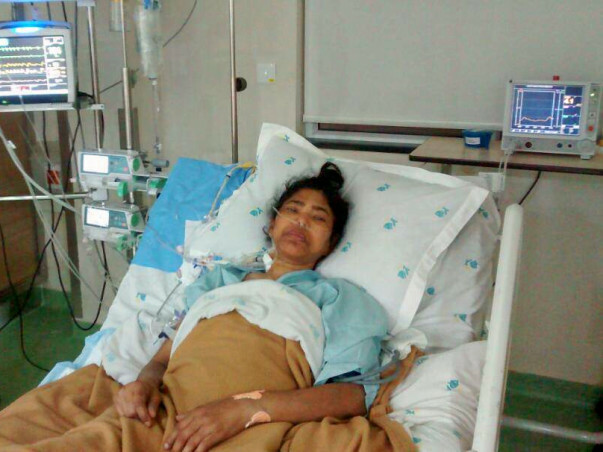 Your contributions ensured that Rehana received the best medical treatment. 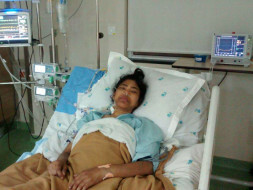 The funds raised so far have been utilised for her heart transplant. May the family find strength in this difficult time. May her soul rest in peace. Please do keep her in your prayers. 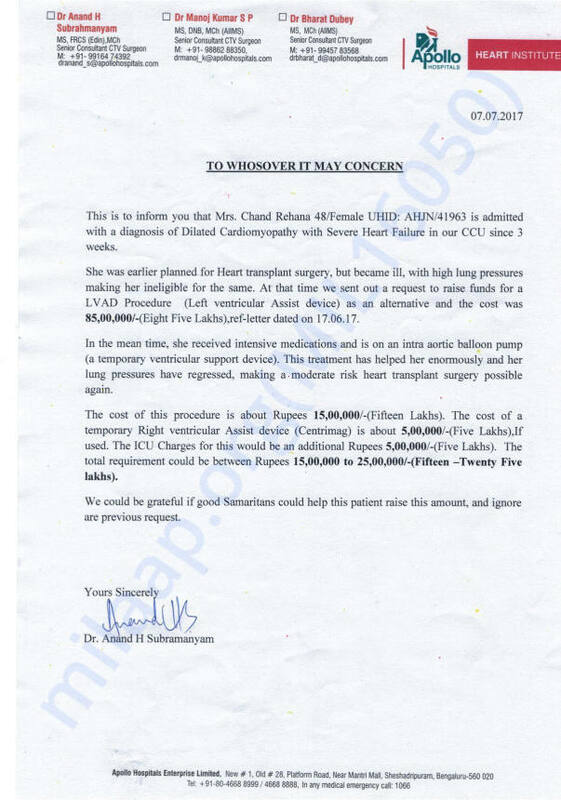 Rehana underwent her heart transplant surgery on 30th July 2017. Sher is stable but she has to stay in the hospital for few more weeks to recover from the infections. 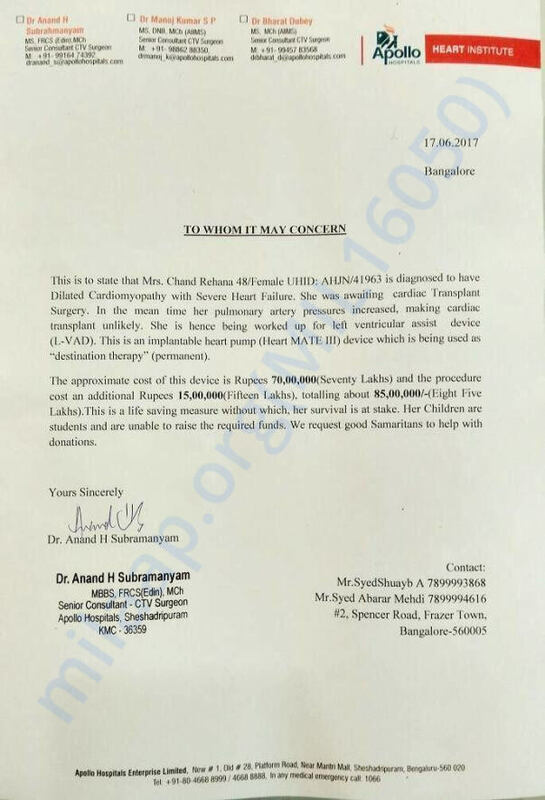 Here is a letter from the cardiologists of Apollo Hospitals, Seshadripuram on Rehana's health. As per the request, we are increasing the target amount to help the family settle the bills at the hospital.